Hong Kong to use Drones to Monitor Emissions by Ships » UAV DACH e.V. 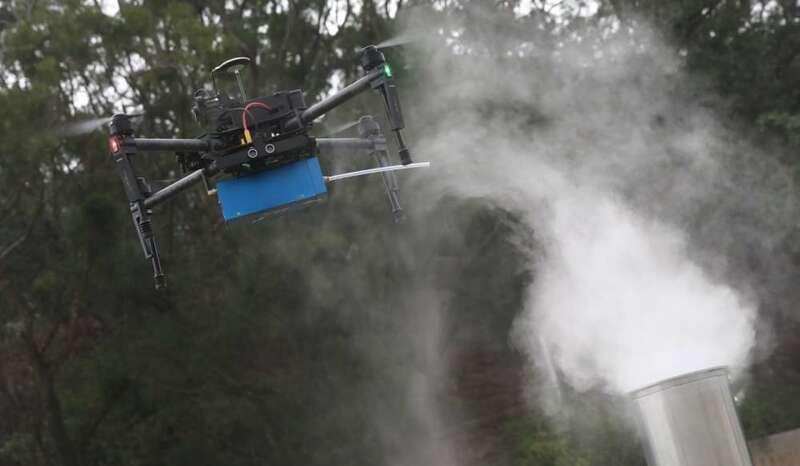 Hong Kong environmental inspectors will take to the skies to police the city’s waters with drones to help enforce a new law requiring ships to burn cleaner marine fuels. The sensor-equipped drones designed by the University of Science and Technology will be flown into smoke plumes spewed from ships and conduct real-time measurements mainly of sulphur dioxide emissions. Dr Zhi Ning of the university’s environment and sustainability division, who led the one-year research project – funded by the Environmental Protection Department – said the idea was to provide support to what would otherwise be time and labour-intensive enforcement work. As of this month, all vessels within Hong Kong waters must use compliant fuels with a sulphur content of no more than 0.5 per cent. Previous policing methods have been limited to examining ship log books on fuel use, visually assessing smoke opacity or manually extracting fuel samples for analysis. 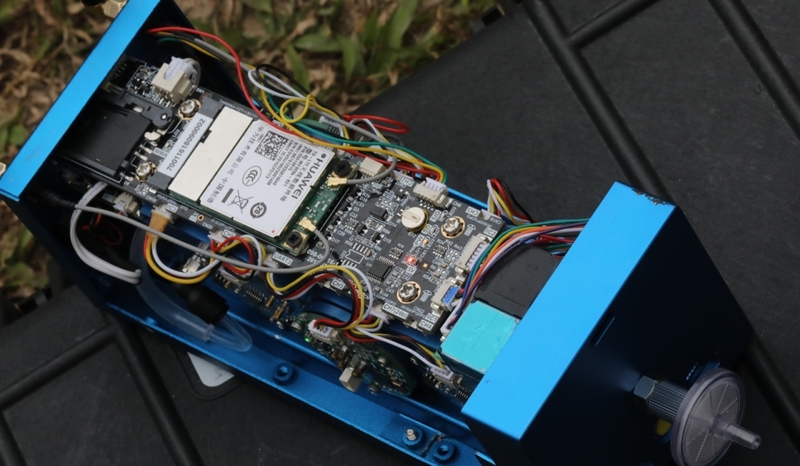 The standard drones come with brick-sized sensors strapped on to scan pollutants such as sulphur dioxide, carbon dioxide, nitrogen oxides and particulates. The device can detect such substances up to 50 metres away from a vessel’s funnel. “It is a sophisticated system built into a very small, concentrated platform,” Ning said. He said just one to two minutes was needed for an accurate measurement whereas before, a more manual process of taking samples and analysing them would take days or up to a week. The Environmental Protection Department will run prototype trials over Hong Kong waters next month and, depending on results, aims to deploy them for use by the end of the year. It is not yet known how many drones will be acquired or how frequently they will be deployed. Principal environmental protection officer Brian Lau Man-pang brushed aside concerns that there were enforcement problems and said he did not expect much non-compliance at all – random inspections of at least 10 ocean-going ships this month found all to be compliant with the new rules. The plans would however hinge on whether they can get approval from the Civil Aviation Department on the use of unmanned aircraft systems, or UAS. “The Civil Aviation Department has strict laws on the use of UAS and we are awaiting their approval,” Lau said. New laws were put in place in 2015 mandating ocean-going ships to switch to low-sulphur fuel while at berth. These were tightened this year to cover all marine vessels regardless of whether they are sailing or berthed. The legislative amendment was needed to dovetail with mainland Chinese rules requiring the same of all ships in Pearl River Delta waters, effectively incorporating Hong Kong into a regional “emissions control area”. Non-compliance can result in a maximum penalty of HK $200,000 (US $25,500) and a six-month prison sentence. The berthing law policy has helped lower sulphur dioxide emissions in Hong Kong, especially in places like Kwai Chung, where the city’s main container port is located. The new regulations are expected to further reduce sulphur dioxide and respirable suspended particulates from marine vessels by 5,800 tonnes and 750 tonnes respectively, as well as “improve air quality along coastal areas”, according to the department. 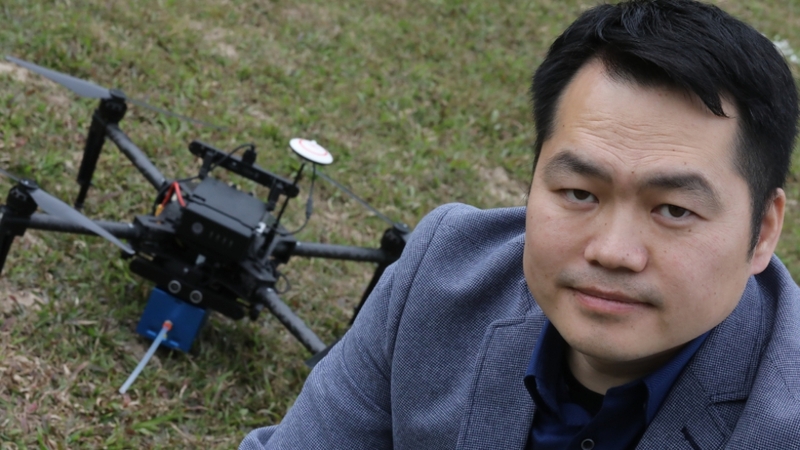 UAV DACH: Beitrag im Original auf https://www.uasvision.com/2019/02/01/hong-kong-to-use-drones-to-monitor-emissions-by-ships/, mit freundlicher Genehmigung von UAS Vision automatisch importiert, Der Beitrag gibt nicht unbedingt die Meinung oder Position des UAV DACH e.V. wieder. Das Original ist in englischer Sprache.